Donate Now, Change a Life! Your donation helps Eggleston provide more opportunities for adults with disabilities. 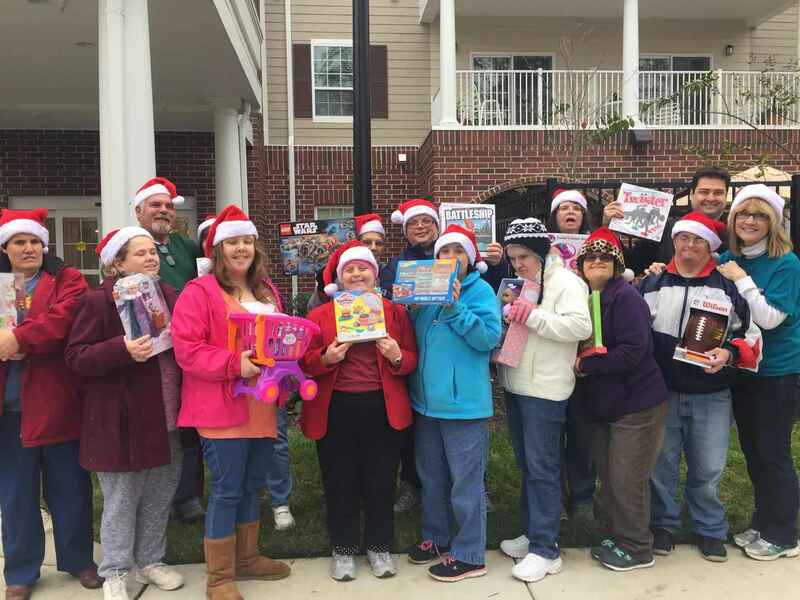 In this season of giving, you have the power change the lives of people living with disabilities in Hampton Roads. Eggleston has served thousands of people since 1955, but it is still not enough. The local need for services increases daily. Every member of our Eggleston family is important, and with your support, there are so many more people who we can serve! You can make sure that no person is turned away for a lack of resources and programs. People we interact with - those with intellectual and physical disabilities, combat wounded veterans and veterans coping with mental health challenges, brain injury victims, and those at risk of homelessness - they counting on you to help them live life to the fullest. They count on your contribution to have meaningful employment, a positive sense of self-worth, and to be integrated into our community. Please consider a tax-deductible gift to Eggleston before the end of the year. Your support will make a real, lasting impact on those who are still in need of training, employment, safe and secure residential homes, and community day supports. With your help, we can grow the Eggleston family. Make a donation during this Season of Giving, and change a life! This donation is to support the Urban Farm.